This Livho Cat Eye Mirrored Sunglasses anti-glare lens effectively blocking 100% Harmful UVA & UVB Rays. UV400 in Solid metal frame. ★ FLAT MIRRORED LENS,NON-POLARIZED：Lens made of resin material in lightweight, scratch resistant, and high visible light perspective to make your vision clearer, reduce surface reflections; also non- polarized reduce headaches for using. ★ UV400 PROTECTION FOR YOUR EYES：This LIVHO sunglasses anti-glare lens effectively blocking 100% Harmful UVA & UVB Rays. UV400 rated sunglasses is essential to filtering out sunlight reflected glare and protecting your eyes against long term UV damage when you go out. 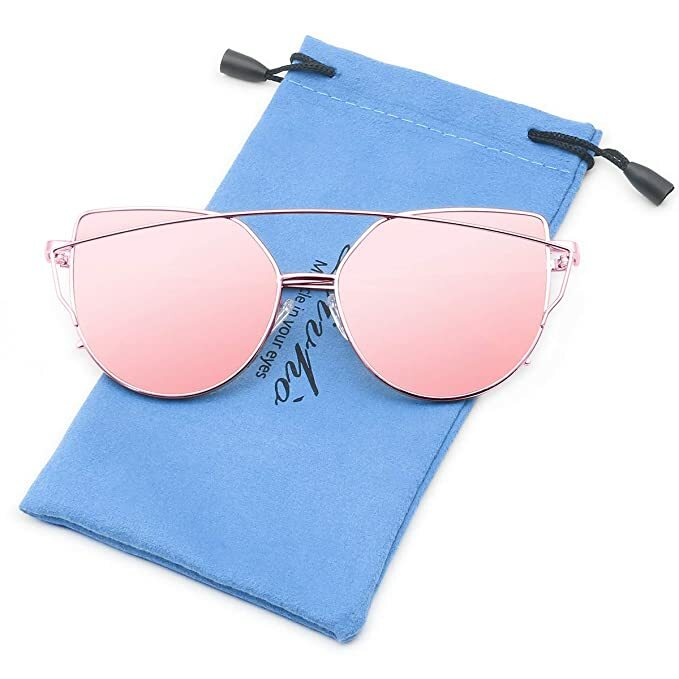 ★ SOLID SLEEK METAL FRAME,FASHION & CUTE DESIGN：Solid metal frame in flat thin style makes the sunglasses firmer, extra flexibility and stability; and the sunglasses size fits for most of adults. ★ DURABLE NOSE PADS：Reduce the burden on your nose bridge and help you wear it more comfortable.